The BSE Sensex closed 159.06 points, or 0.45%, up at 35,513.14, while the Nifty 50 ended 57 points, or 0.54%, higher at 10,685.60. 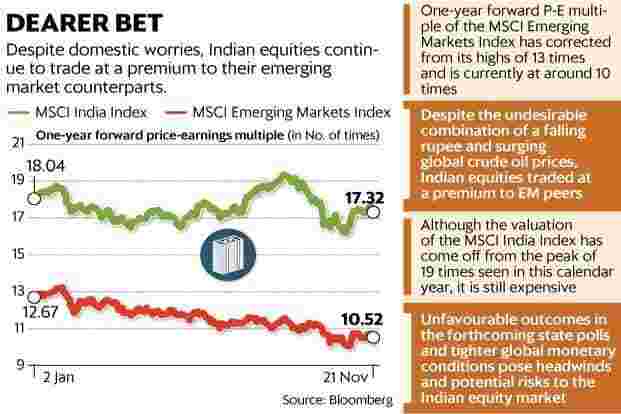 The BSE MidCap and SmallCap indices rose 0.32% and 0.43%, respectively.Among the sectoral indices on BSE, IT, teck and energy advanced over 1%. 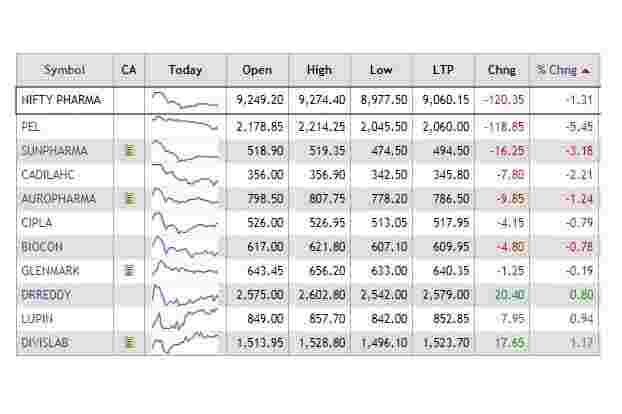 Oil and gas, power, finance and realty also gained. 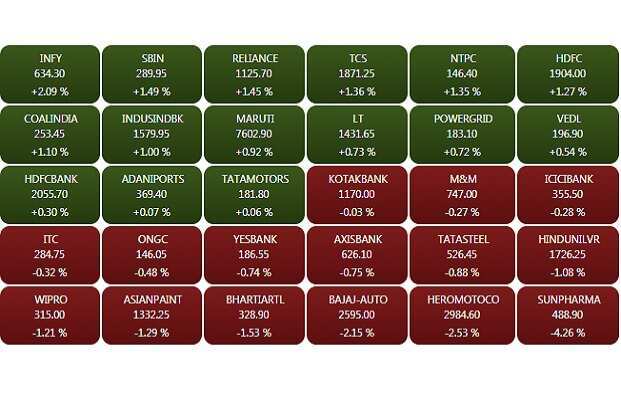 On the other hand, Healthcare, metal, telecom, consumer durables and FMCG declined.Infosys, TCS, Reliance, Bajaj Finserv and IndusInd Bank were among the top gainers on the key indices, whereas Sun Pharma, Hero MotoCorp, Yes Bank, Bharti Airtel and Bajaj Auto were major losers. The BSE Sensex traded 114.07 points, or 0.32%, up at 35,468.15, while the Nifty 50 rose 33.30 points, or 0.31%, to 10,661.90. 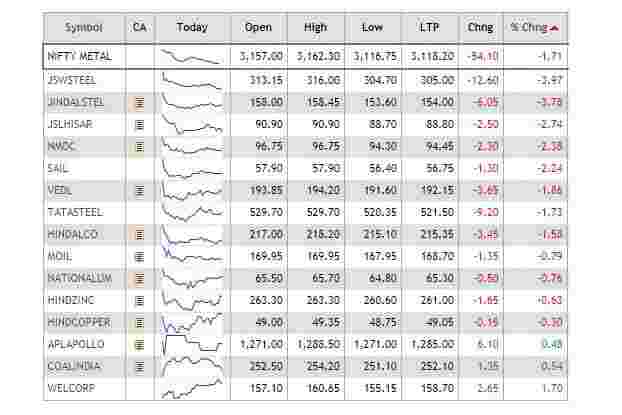 The BSE MidCap and SmallCap indices rose 0.12% and 0.34%, respectively.Among the sectoral indices on BSE, IT, realty and teck advanced most at over 1% followed by energy, power utilities and capital goods. Healthcare, consumer durables, FMCG and telecom declined. Lupin said that it has received an EIR from the USFDA with one observation after the regulator completed its inspection at the company’s Tarapur facility in Maharashtra. Lupin shares traded 1% up at Rs 853.20 per share. 63 Moons Technologies Ltd said it has signed an agreement with Japan’s NTT Data Corp. to sell its 55.35% stake in ATOM Technologies for a total amount of $9.24 million. Shares traded 0.37% down at 107.10 per share. Sun Pharma shares erased all morning gains and fell as much 7.05% to Rs 474.65 per share. In early trade, the stock had hit a high of Rs 521.20 per share, up 2% from its last close. Sun Pharmaceutical Industries Ltd on Monday said it has bought Japanese drugmaker Pola Pharma Inc. for $1 million as part of plans to strengthen its global presence in dermatology. Granules India said its unit Granules Pharmaceuticals has received approval from the USFDA for Methylphenidate hydrochloride extended-release tablets USP, 10 mg and 20 mg. The approved ANDA is therapeutically equivalent to the reference listed drug “Ritalin SR Sustained-Release Tablets, 20 mg” of Novartis Pharmaceuticals Corp. Granules India shares traded 0.44% down at Rs 90.15 per share. IIFL Holdings Ltd said that unit IIFL Securities Ltd is planning to buy 15% strategic stake in Bangalore-based fintech startup Trendlyne (Giskard Datatech Private Ltd), a stock market analytics platform for retail investors, analysts, fund managers and advisors. IIFL shares traded 0.32% up at Rs 478.50 per share. IFCI shares rose as much as 6.5% to Rs 14.6 after the company said it has received Rs 491.84 crore via NCLT on account of resolution passed by Binani Cements. The company holds 42.16 lakh security receipts the Binani Cements of face value of Rs 1,000 each. Yes Bank shares rose as much as 3.21% to Rs 194 per share in the opening trade after PTI reported that entities linked to Yes Bank promoter Rana Kapoor have paid ₹200 crore each to Reliance Mutual Fund and Franklin Templeton Mutual Fund from whom they had raised funds by pledging shares. The entities are understood to be linked to the close family members of Kapoor.In other news, Mint reported that the Reserve Bank of India on Monday began inspecting Yes Bank’s exposure to IL&FS, DHFL, Indiabulls Group, and Sudhir Valia-promoted entities Fortune Financial Services India Ltd and Suraksha ARC. Sun Pharma shares rose as much as 2% to Rs 521.20 per share. Sun Pharmaceutical Industries Ltd on Monday said it has bought Japanese drugmaker Pola Pharma Inc. for $1 million as part of plans to strengthen its global presence in dermatology. 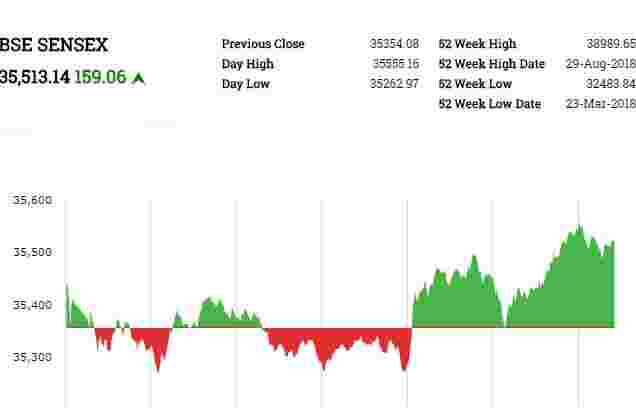 The BSE Sensex traded 28.48 points, or 0.08%, up at 35,382.56, while the Nifty 50 rose 3.80 points, or 0.04%, to 10,632.40. The Indian rupee weakened marginally against the US dollar on Tuesday, tracking losses in Asian currencies after US President Donald Trump said he was ready to expand the trade war with China. At 9.10am, the rupee was trading at 70.99 a dollar, down 0.18% from its Monday’s close of 70.87. The currency opened at 70.87 a dollar and touched a low of 71.01. The 10-year government bond yield stood at 7.747% from its previous close of 7.727%. The BSE FMCG index is still down by 9.3% since end-August, but is up by that same rate over its lows of early-October. Some of that is because of the broad market, which is up by 3.4%.